This session is a highly popular feature of the Charleston Conference, and this year is the 7th time it has been held. 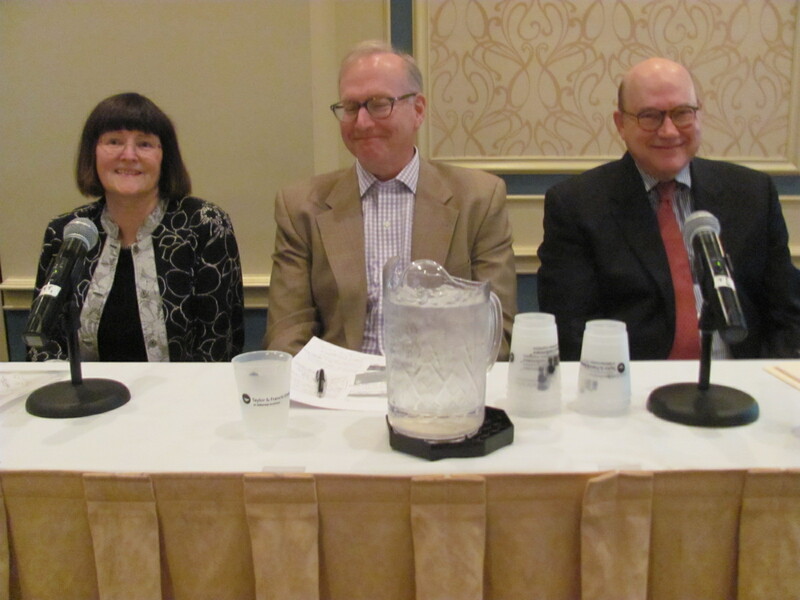 Ann Okerson, the Moderator, introduced the session by observing that the legal issues relating to us are profuse and never-ending. 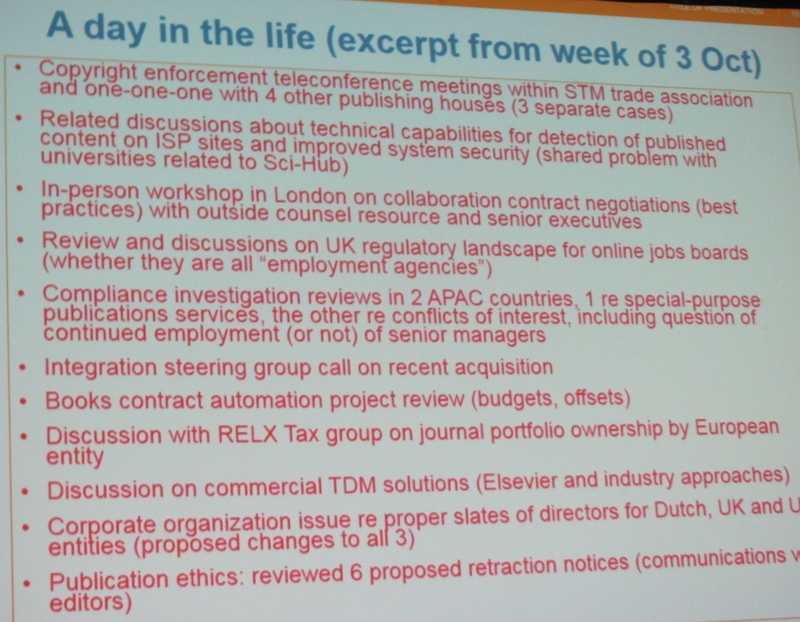 Mark Seeley, General Counsel, Elsevier, presented a description of a typical week in the life of a publishing lawyer, in which copyright issues are prominent. 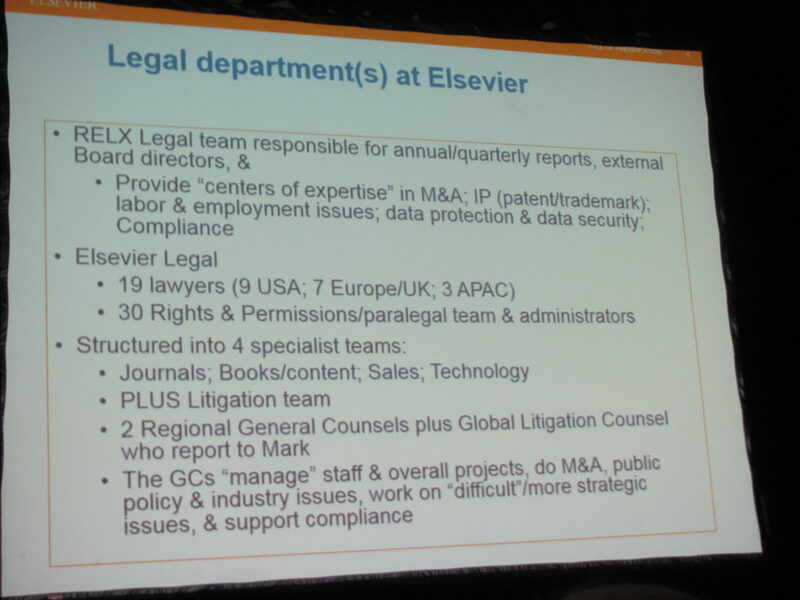 RELX is the parent company of Elsevier and has more than 30,000 staff in more than 40 countries. 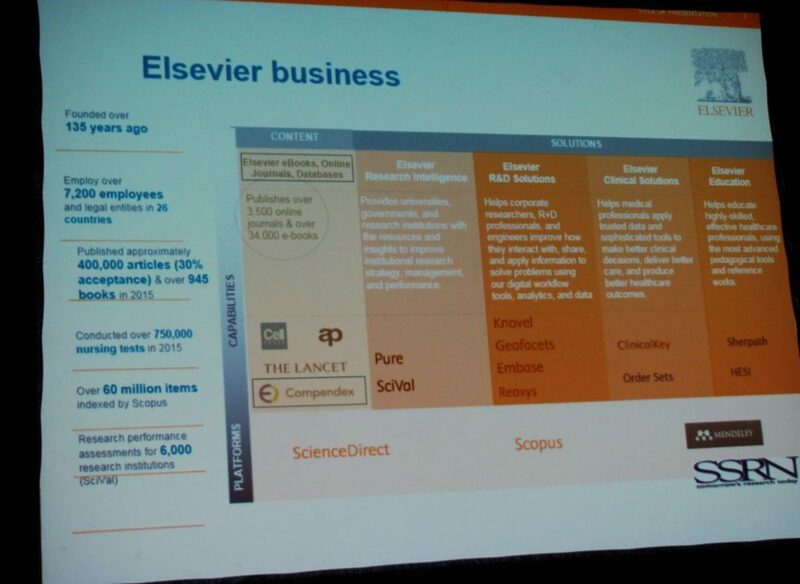 Here is a view of Elsevier’s business, which has about 7,200 employees with operations in 26 countries. Increasingly, the business focuses on analytics and services. Many of its activities are traditional but new technology has meant that different problems must be addressed. 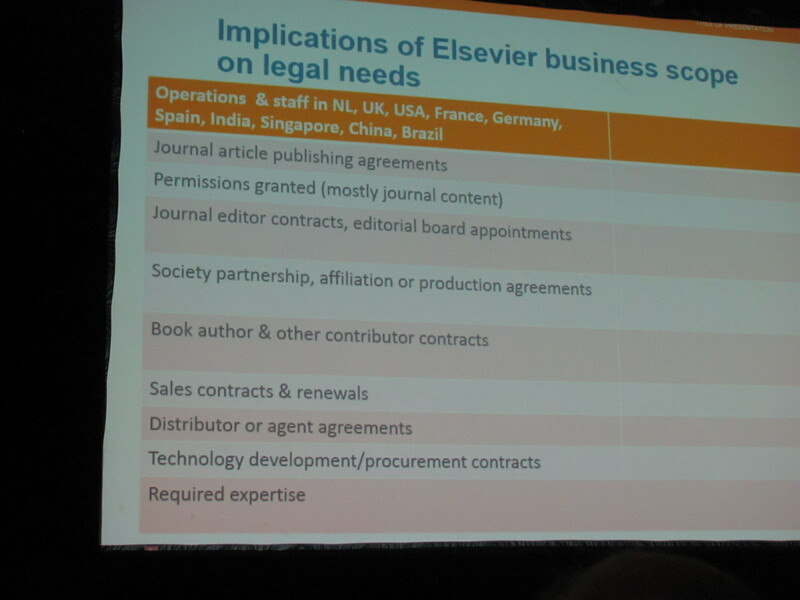 Here is Elsevier’s legal operation, which is split about equally between the US and Europe. 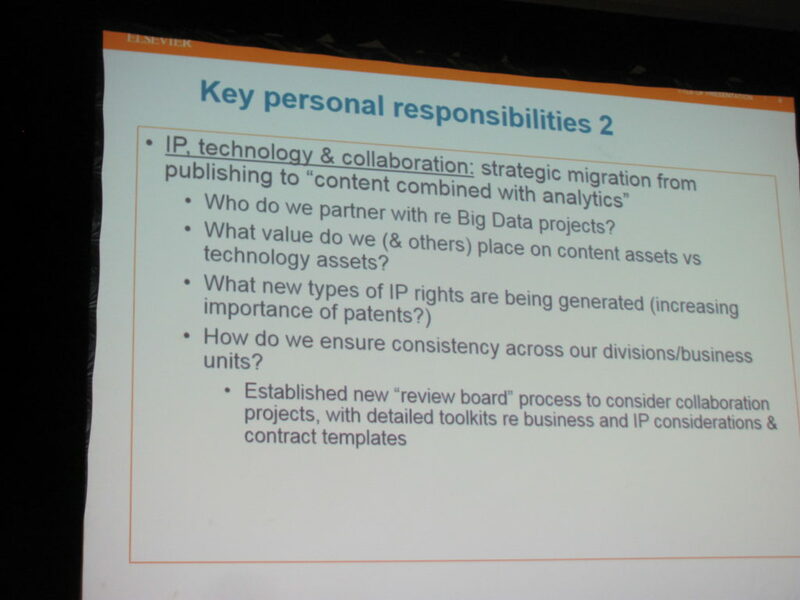 There are 4 teams; 2 focused on publishing, 1 on sales, and 1 on technology and procurement. 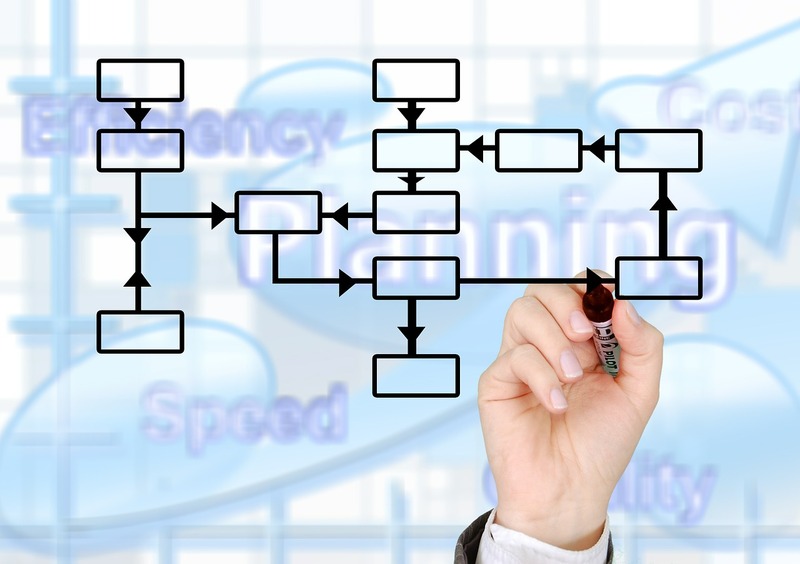 Compliance is all about risk assessment and ensuring that the business is operating lawfully. For example, when the UK passed new anti-bribery rules in 2012, due diligence had to be done on all 100 agents worldwide. 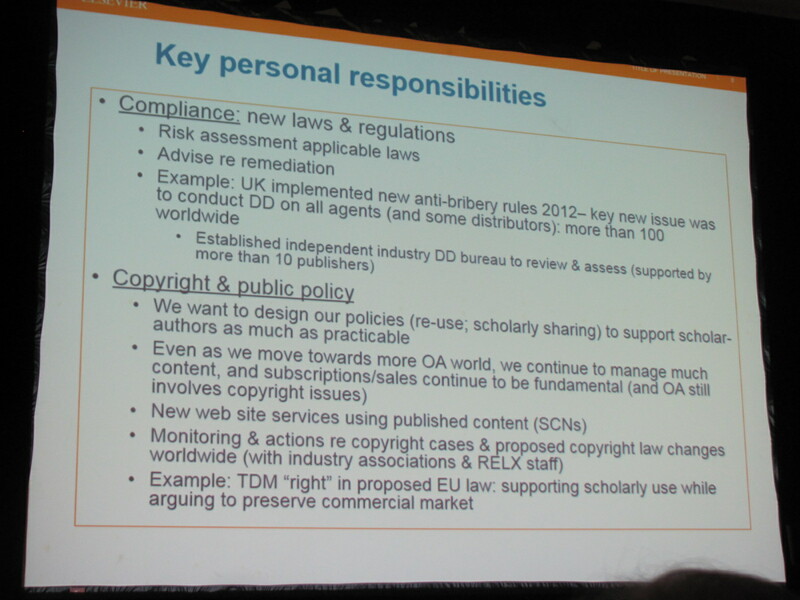 In the copyright area, text and data mining issues have arisen and need to be addressed. The future is about what kind of answers can be provided in the area of technology and collaboration. All these issues start with content. Here are some of Mark’s very wide-ranging activities during one week a couple of weeks before the Frankfurt Book Fair. The right to be forgotten. In 2014, the European Court of Justice ruled that Google had to take down negative information about a plaintiff. Since then, Google has received half a million requests to remove information and complied with 43.2% of them. Some librarians fear that the role of libraries in preserving historical records is being impaired. The EU directive will be replaced in 2018, but it won’t cut back on the right to be forgotten. IFLA is a strong voice urging restraint in applying the right. Some people say that the odds of the US adopting the right are “close to zero”. Can the ADA spell the end of MOOCs? 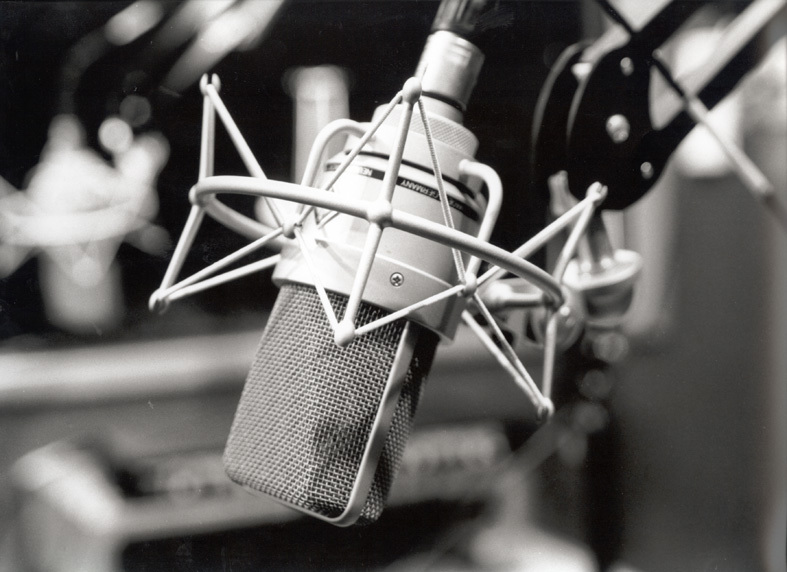 UC Berkeley was charged with making free audio and video content available to the public and in MOOCs but not making it accessible to the deaf and blind. The DOJ advised UC that it must modify its free offerings and “pay compensatory damages to aggrieved individuals”. UC said that it would cost a fortune and they had no budget to do this. The fear is that all the free programming will stop. Georgia State e-Reserve Case. Georgia State allowed professors to designate portions of books and periodicals to be copies by the library and put them on “electronic reserve”. 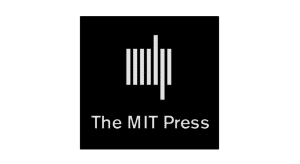 Three publishers sued, alleging that portions of 6,700 works had illegally been copies and transmitted to students. 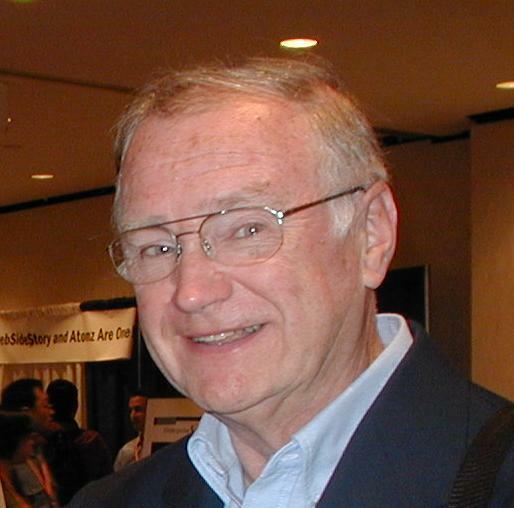 In 2012, the court largely ruled for GSU, holding that it was fair use. In 2014, an appeals court reversed the decision and ordered the trial judge to take another look; the resulting judgement held that the university’s use of the material favored a fair use ruling. Publishers were horrified. They look at this sort of copying to be undercutting the entire ecosystem of academic publishing. Similar cases are occurring in other places. Delhi University photocopying case. A trial court ruled against publishers in an even more blatant case of copying, where a university worked directly with a photocopy service to make course packets for sale to students. Social advocates hailed the verdict, saying the court correctly upheld the supremacy of social good over private property, and students rallied behind the photocopier, saying that most of the books were too expensive. Hannay, Charleston’s “singing lawyer” did not disappoint and concluded with his annual song.